The Financial Conduct Authority is one of the new kids on the regulatory block, trying hard to establish its credibility among the burnt-out wrecks of its many predecessors. There is no doubt that it could do without the controversy that has engulfed it over its proposed review of closed book insurance policies. 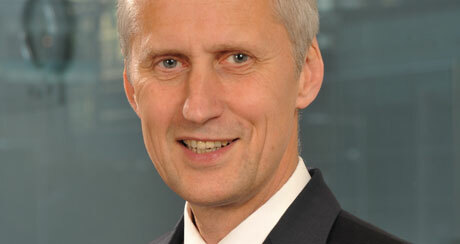 But are the calls for the resignation of its chief executive, Martin Wheatley, justified? The announcement was certainly handled badly through a mixture of leaks and partial announcements before someone realised that a more fulsome explanation of what the FCA’s intentions are was urgently required, especially dampening down the fears of retrospective action on costs, exit charges and penalty clauses. This raised the spectre of billions of pounds being paid out in compensation and sent insurance company share prices tumbling with ratings agencies muttering darkly about downgrades. Insurance company directors were not pleased. Immediately the hysteria button was pressed the calls for the top man to go started to surface: for me, the key word is hysteria. The FCA has held up its hands and apologised for the mishandled announcement and has set-up an inquiry into how it happened. This is highly commendable, although I am not sure what an inquiry is going to tell us beyond the sort of “Must try harder” comment that frequently populated my school reports. But this is 2014 and you have to have an inquiry. You don’t have to have a resignation. The botched announcement became such a major problem because the insurance industry is currently vulnerable. First, because the long-term market is still reeling from George Osborne’s unexpected revolution over pensions which threatens to decimate the traditional annuity market. Second, because the 20 years of self-inflicted wounds over endowments, personal pensions and payment protection insurance – to name just the major scandals – makes any suggestion of further regulatory scrutiny of its past something to fear. Against this background it is hardly surprising that investors are getting nervous about insurance companies. Certainly, the FCA needs to be sensitive to this but the insurance industry has to accept its share of the blame for this state of affairs too. Turning its anger on the regulator seems to be an attempt to shift the blame for the weak stock market sentiment towards insurers. An industry that was already working hard to innovate to provide better retirement solutions and which didn’t have such an appalling record of miss-selling would have been able to cope with the shocks of the last two weeks. It is not Martin Wheatley’s fault it is in such a vulnerable state and he shouldn’t entertain thoughts of resignation. He has done a good job since the FCA was launched and has worked hard and intelligently to set a fresh, more appropriate regulatory agenda. The only serious caveat is if the inquiry throws up evidence of some maliciously conceived plot to deliberately damage insurers – the regulatory equivalent of kicking a man while he is down. Personally, I would be staggered if this was the case as it would do untold damage to the FCA and the new generation of regulation. The FCA and its chief executive have rightly taken the view that it has to be business as usual and have confidently stepped out today to set out their stall for regulating payday lenders.